The Ottawa Citizen checks in with Mike Lydon in advance of his trip to the National Capital Commission’s Urban Lab. Check out the full interview here. Test a proposed city process allowing citizens and other groups (neighborhood, businesses, advocacy groups) to develop neighborhood improvement projects. 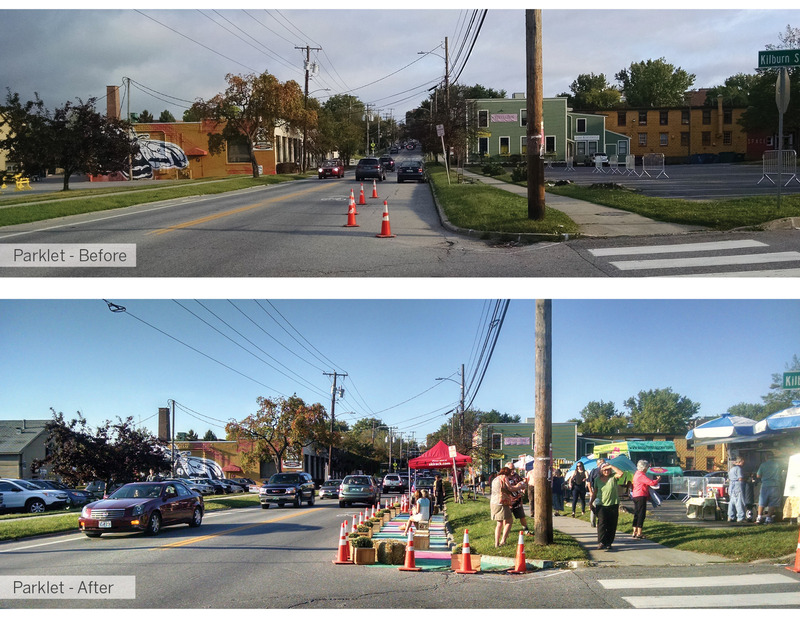 This demonstration project illustrated two ways to improve walking conditions during Burlington’s beloved annual Art Hop event. For this project, we repurposed a small amount of excess asphalt space to create a parklet and colorfully painted curb extension. The curb extension helped increase the visibility of walkers while also shortening the distance and time required to cross the street. During the two days it was in place, the demonstration project was used by thousands of people and proved that balancing space between people walking and driving need not be a zero sum game. 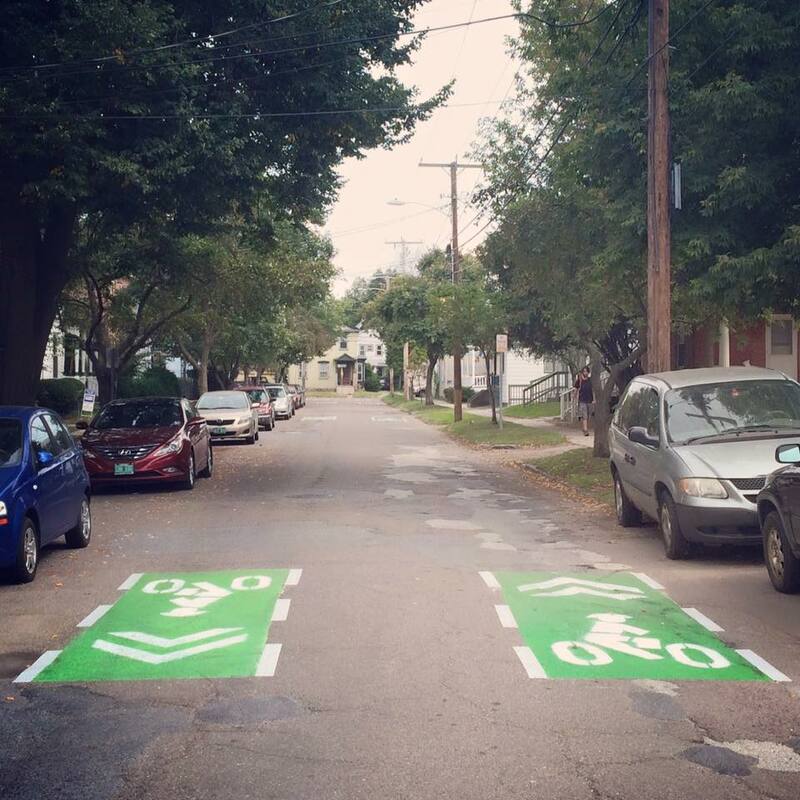 This demonstration project showcased a number of ways to make bicycling safer, and more comfortable. 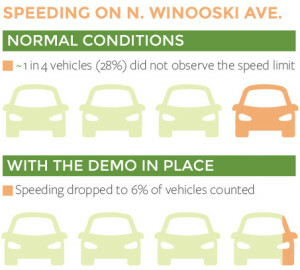 The effort involved applying a number of different bike lane and intersection designs along several streets adjacent to route of Burlington’s Open Streets event. 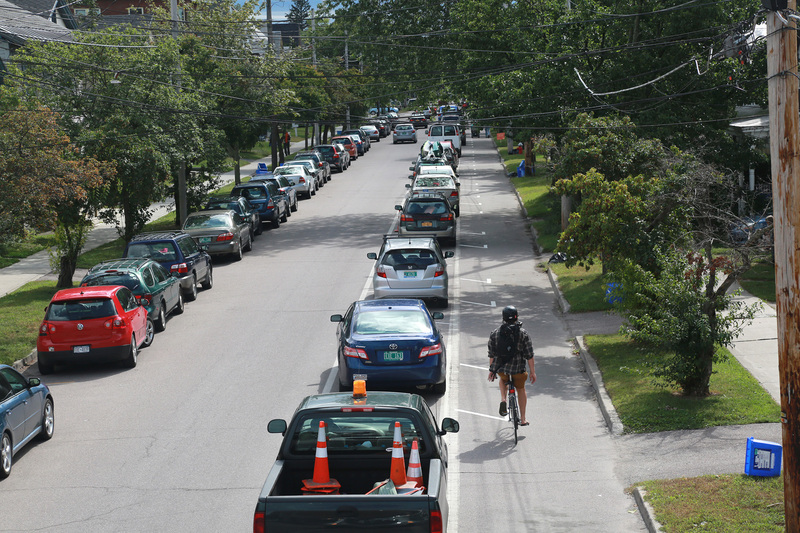 The designs included Burlington’s first parking-protected bike lane, a Neighborhood Greenway, and a planter-protected bike lane. Again, thousands of people were exposed to a number of options that could make cycling and walking safer while not conflicting with the flow of automobile traffic. 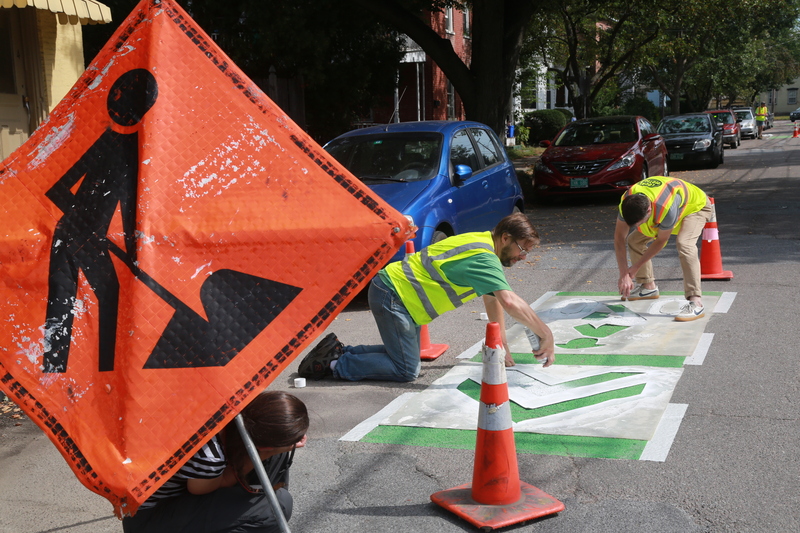 The demonstration projects represented an unprecedented collaboration between Burlington’s government agencies, advocates, local businesses, and residents, and they helped our team gather input for the larger PlanBTV Walk Bike process. They also allowed a broad base of people not normally involved with the technical planning process to experience new and unfamiliar street design types. If this were the only outcome, then the projects could be considered a success! 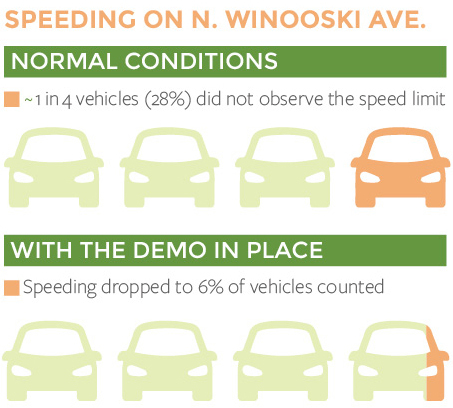 Volumes of vehicles did not change significantly; in fact volumes on both Union and Winooski were slightly higher during the pilot than on the following weekend, possibly due to re-routing of traffic during the Open Streets BTV event. 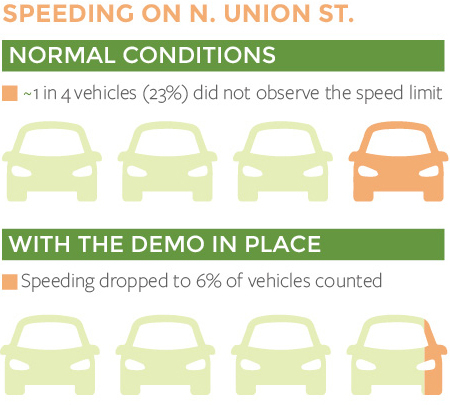 Vehicle speeds were significantly lower during the demonstrations. 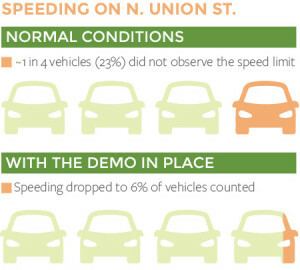 Thus, the two demonstrations showed that each of the primary corridors has additional capacity for motoring, and that redesigning the street with protected bikeways could lead to a much higher percentage of drivers observing the speed limit!